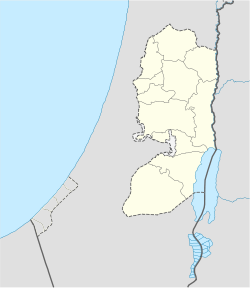 Rehelim (Hebrew: רְחלים) is an Israeli settlement in the northern West Bank. 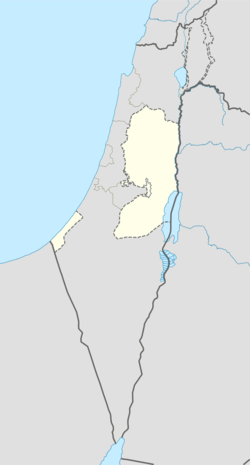 Located on Route 60, between Kfar Tapuach and Eli, east of Ariel and adjacent to the Palestinian towns of Yatma and Qabalan, it falls under the jurisdiction of Shomron Regional Council. Its official boundaries also include nearby Nofei Nehemia. In 2017, it had a population of 747. On 27 October 1991, busloads of Jewish settlers were on their way to a protest in Tel Aviv against the peace negotiations in Madrid, when one of the buses came under attack from Palestinians. The driver, Yitzhak Rofeh from West Jerusalem, and Rachel Drouk, of Shilo, were killed. After Rachel's funeral, women from settlements all over the West Bank set up tents at the site, and remained there despite official disapproval. For a long time, only women and children lived there. It was named "Rehelim" (plural of the name "Rachel") after 3 Rachels: Rachel Drouk; Rachel Weiss, who was killed in the Jericho bus firebombing; and the matriarch Rachel. According to ARIJ, Israel confiscated 376 dunams of land from the Palestinian village of As-Sawiya in order to construct Rehelim. In 1999, the Council of the European Union reported that Rehelim had gained retroactive approval from the Israeli government on the basis of its location being on survey land that was transferred to state land. In 2007 the Israel Central Bureau of Statistics listed a change in the status of Rehelim as belonging to the area of Kfar Tapuach, and not an independent settlement. However, the settlement was officially recognised in 2012. In 2018, the Killing of Aisha al-Rabi occurred near Rehelim, allegedly in a terrorist attack by students of the local Yeshiva. The Tura boutique winery is located in Rehelim. The winery was founded in 2003 as Erez Winery, and renamed in 2005. The grapes are grown in vineyards on Har Brakha at an elevation of 840 meters. In 2010, the winery was producing some 12,000 bottles annually, chiefly from Cabernet Sauvignon, Merlot and Chardonnay grapes. ^ a b "PM: Ariel will remain under Israeli sovereignty". The Jerusalem Post. 9 January 2013. ^ a b c d e Tamar el-Or and Gideon Aran (1995). "Giving birth to a settlement" (PDF). Gender & Society. 9: 60–78. doi:10.1177/089124395009001004. ^ "EU Settlements Watch Executive Summary". Council of the European Union. 19 March 1999. Retrieved 27 November 2011. ^ "Changes 1948-2007". Israel Central Bureau of Statistics. 2007. Retrieved 27 November 2011. ^ "PM sets up panel to legalize state land outposts". The Jerusalem Post. 22 April 2012. ^ "Shin Bet Claims DNA of Yeshiva Student Found on Rock that Killed Arab Passenger". jewishpress.com. Retrieved 2019-01-30. An indictment was filed Thursday against a student, 16, enrolled in the Pri Ha’aretz yeshiva in Rehelim, Samaria, for the killing of Aisha al-Rabi under terrorist circumstances. ^ "I was a settler. I know how settlers become killers - Israel News - Haaretz.com". haaretz.com. Retrieved 2019-01-30. ^ "Settlers cultivate West Bank tourism to tighten grip on land". Reuters. 2011-06-20. Retrieved 2019-01-31. ^ "Wine and Spirits / Tulips for Your Two Lips". Haaretz. 2010-02-24. Retrieved 2019-01-31. This page was last edited on 31 January 2019, at 10:42 (UTC).